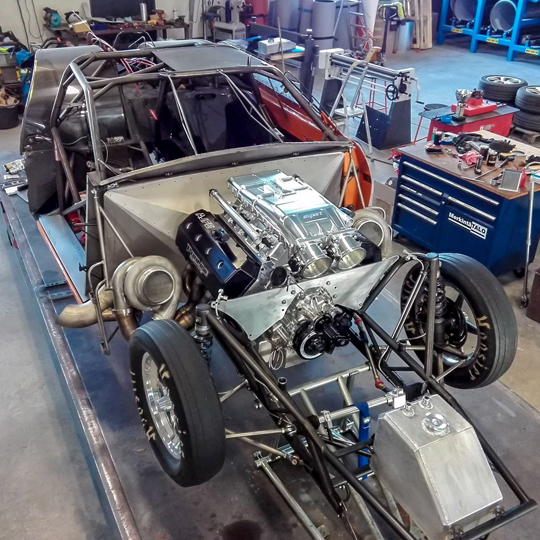 Finland’s Jere Rantaniemi and Team Pro8 will debut in the FIA European Drag Racing Championship in 2019. 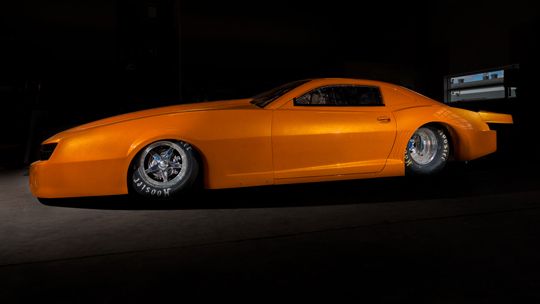 The orange Pro Line Racing Hemi powered 2013 Camaro will be seen in Sweden, Finland and Germany. The last two seasons Rantaniemi ran in the Finnish national Top Doorslammer series, winning the championship in 2017 and finishing second in 2018. The team’s first ever appearance abroad was at the Top Doorslammers finals in Sweden last September, a race that Rantaniemi won. “After the successful weekend in Tierp, we began planning for competing in an international series,” said crew chief Niko Putkinen. This will be an international series debut for the whole team. Team owner Sami Hanhisuanto feels the jump from Top Doorslammer to Pro Modified is surprisingly big, even though the JBRC Camaro was originally built for Pro Mod racing. There are some major changes to the FIA Pro Modified rules for the 2019 season. Turbocharged cars will be equipped with a boost controller and the maximum allowed boost will be set at 36 PSI. “To be more competitive, we made a decision to go for a new power plant. We’ve already run two seasons with a Pro Line engine, the 481X, and it churned on like clockwork. Pro Line Racing have proven to produce some of the most powerful and simultaneously reliable motors on the market. 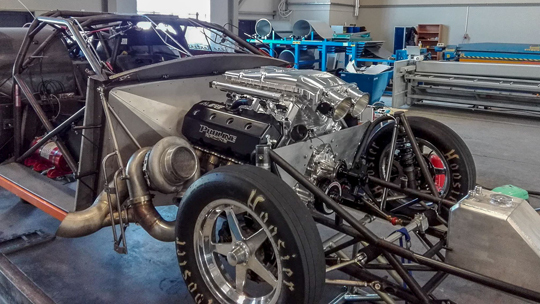 The PLR Hemi has been engineered to provide massive power even at these lower boost levels the new rules mandate. I’m happy we managed to do this as it allows us to challenge the top teams in Europe,” Hanhisuanto declared. Experienced race driver and Pro Modified European record holder Andreas Arthursson of PPF Racing is excited that Pro8 has the equipment to mount a real challenge. “I will do my best to help the guys at Pro8. 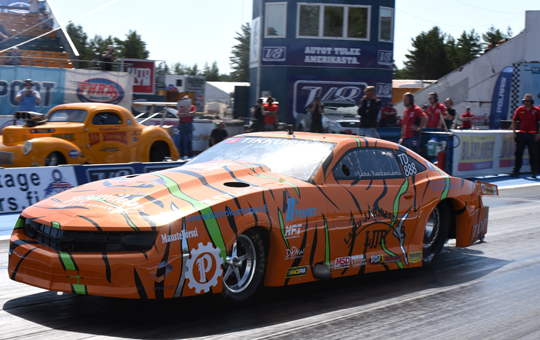 The crowds like turbos and Europe can certainly do with some more turbocharged Pro Mods on the grid. It will probably take a few races before they are up to speed, but they’ll be a contender for sure,” said Arthursson.